Does anyone else get tired of running to the store to pick up perishable things? I sure do. So I decided to start purchasing gallons of milk while it's on sale and then freezing it! It works great! I watch the sale add and when I see that it's on sale I go to the store and pick up 5 gallons or so and freeze it. First you have to take off the lid and pour just a little bit out (don't just pour it down the drain, drink it!) so that when it freezes, the jug won't burst from expansion. Put the lid back on and put it in the freezer. When you need milk, take a gallon out of the freezer and set it on a plate on your counter and let it thaw for exactly 8 hours. There will still be an ice chunk in it, but it continues to thaw in the fridge. Every time I take the jug out, I shake it to help brake up that ice chunk. 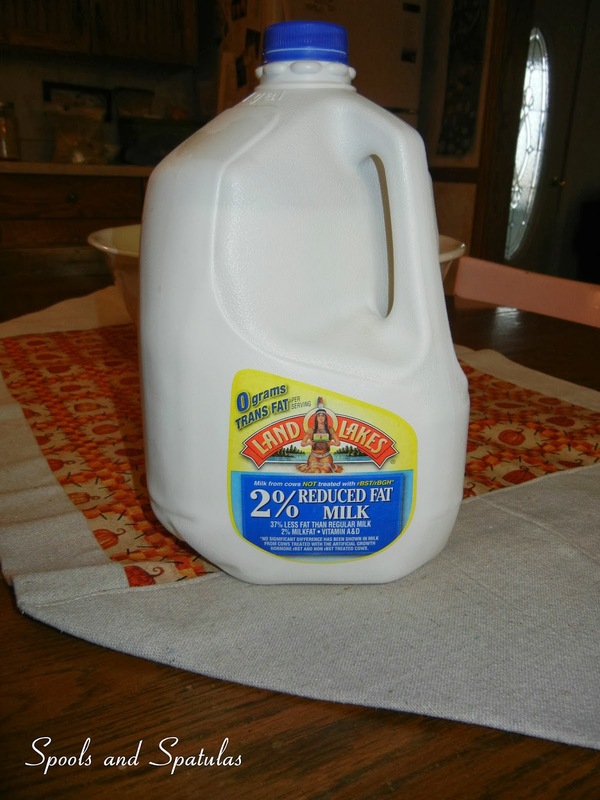 This is a great way to save money on milk and gas money from decreasing your trips to the store! It's a win win.